The earthquake 26 October, 7.5 magnitude earthquake affected sixteen provinces in Afghanistan and two provinces along with the FATA region in Pakistan. It left a total of 395 people dead, 2,269 injured and 116,639 houses damaged in both the countries. Infrastructural damage was most extensive near the epicentre of the quake in both the countries. Access to the affected provinces is most difficult due to the volatile security situation in Afghanistan and the rugged terrain in both the quake hit countries. The decreasing temperatures in the affected zones of both the countries is another hurdle in accessibility to the areas. 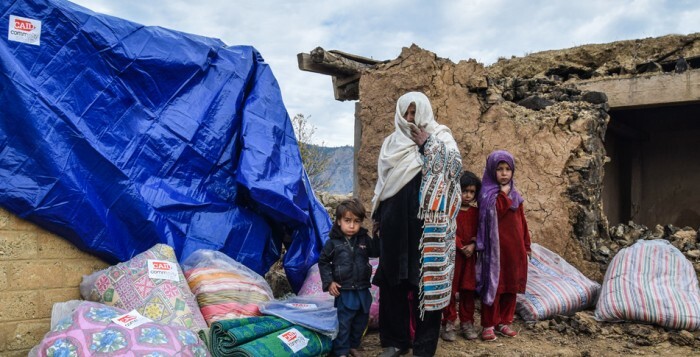 With no appropriate shelter, the earthquake hit communities are forced to face the harsh winter in compromising conditions, struggling to meet their basic survival requirements. Pakistan: As per the latest information released by the National Disaster Management Authority (NDMA), so far 280 people have died, 1,745 have been injured and a total of 98,094 houses have been damaged across the country. Out of the total houses damaged, 92 percent were located in Khyber Pakhtunkhwa Province. Damages to infrastructure such as roads, bridges and communication networks, in the affected areas are also significant. Protection against the near freezing temperatures is the priority need of the affected communities. In this regard, winterization support is a highly recommended form of assistance by the district government. This is followed by health services which also a critical need of the quake hit communities who are exposed to the dropping temperatures without adequate winter supplies. Afghanistan: A total of 115 people have died, 524 people have been injured and 18,545 houses have been damaged in Afghanistan. A recorded 6,929 houses out of the total damaged have been completely destroyed. A reported 130,093 people have been affected across the country as per the latest report, however the damage assessment is still ongoing which may result in a further increase in number of damages. More than 50,000 people have been affected in Badakhshan province where property damage was most widespread. 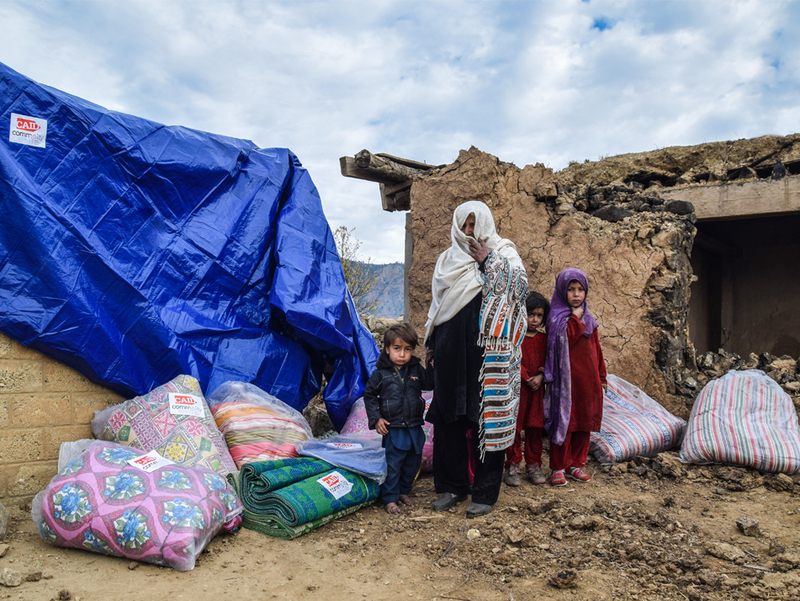 Access remains the major challenge in providing assistance to the earthquake affected people in Afghanistan. The primary needs of the affected communities in the country have been identified as basic household supplies, blankets, tents, hygiene kits and shelter for those families whose houses have been completely destroyed. No proper emergency evacuation system has yet been placed for children in earthquake affected areas. The schools in these areas are still not functional either. Some of the organizations have provided shelters to the communities but the quality of the shelters does not take in account resilience to changing and extreme weather. Some community members have started reconstructing their homes but they are not following the earthquake resilient structure guidelines. Lack of coordinated assessment is still a major challenge. Response by Community World Service Asia: Community World Service Asia’s Emergency Health Response team has provided health services through Mobile Health Units in District Shangla for 12 days where the team treated 1,853 patients, of which 975 were male patients and 878 were female. A total of 136 lab tests have also been carried out at the MHU. Since November 16th, the team has started operating as a static Basic Health Unit at UC Kuzkana in the Shangla district, where the team has assisted more than 600 patients, and carried more than a hundred lab tests so far. Community World Service Asia has also distributed one month food packages to 371 families and distributed 812 winterization kits to affected families till date. In the coming days more distributions of winterization kits will also take place. Please follow our live photo update from the earthquake affected areas on our Facebook page at: https://www.facebook.com/communityworldserviceasia/ . 7.2 magnitude Earthquake jolts the Hindukush Mountain Range again!